Put yourself in the shoes of Dashal (goes by Dash) Decaudin a junior at HSE. He has snapped his tibia, has had a complete tear of the labrum from the shoulder, multiple stress fractures, a couple concussions, and a broken nose. Sound painful to you? All of those injuries are from his athletic career with his various sports he has played. He now only plays rugby to hopefully cut down on the injuries and to give his body a rest in the offseason. 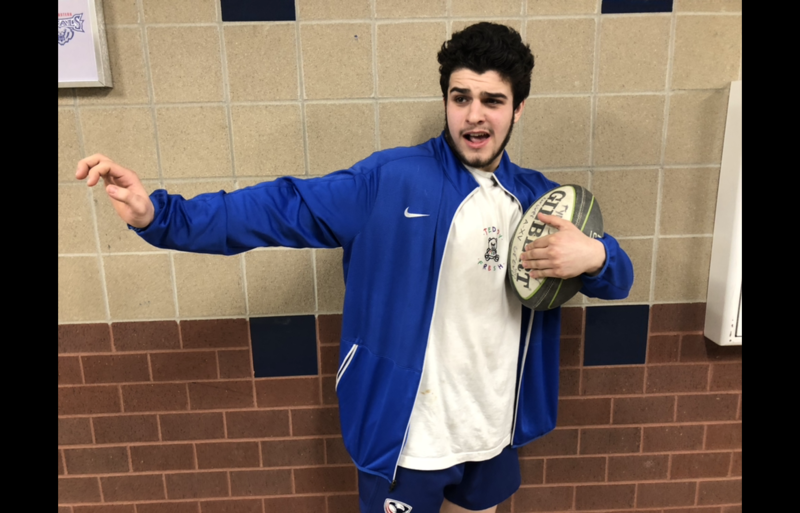 As Decaudin heads into the spring rugby season his biggest goal is to stay healthy and help his team win. Understandably Decaudin is exited to finally be healthy heading in to a season. His health is a very important part of the HSE rugby team. Decaudin is a starter on Varsity and in his junior high days he won team MVP on multiple occasions. One of his coaches Walker Elder who the team calls “scooter” also thinks very highly of him. Decaudin’s other goal for this season is to win state to create recognition about the sport, to then grow the team here at HSE. The rugby team wants to get back to being a champion. The last state title was in 2015 when the current senior class was in 8th grade. Dash wants to win it for them and the rest of his teammates. Only time will tell if the HSE rugby team will go on to win state. But there is no doubt about Decaudin’s story and all of the injuries and hardships he has gone through. Decaudin will enter his junior season fully healthy and hopefully he will be able to last the whole season, because the HSE state title run may depend on it.